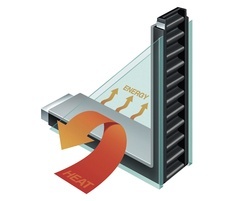 Duralite is an insulating glass edge seal system constructed using a unique composite laminating technology. Duralite is preassembled with proven components - sealant, spacer and desiccant - to create a flexible spacer system with a high level of performance. It is designed for use in high-volume production of dual and triple pane insulating glass units in a one step process where units are sealed using heat and compression. Designed as a single seal system, Duralite can also be used with a secondary sealant to create a dual seal unit.